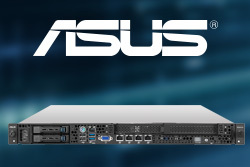 After the long hard working in HPC field, ASUS now presents the GPU server ESC8000 G3 supporting up to eight double deck GPU cards as well as optimized thermal design for both CPUs and GPUs. 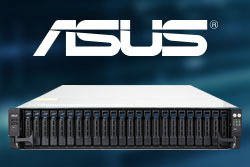 ESC8000 G3 is the latest supercomputer based on Intel® Xeon® processor E5-2600 v3 product family, featuring front parallel redundant fan placement and dedicated air-tunnel for individual GPUs, six hot-swappable 2.5” SATA HDD/SSD bays, 2+1 80 PLUS Platinum 1600W CRPS , 8 PCI-E Gen3 x16 and 2 PCI-E Gen3 x8 expansion slots. ESC8000 G3 is targeted to hit 20Tera floating points with the latest generation GPU cards and achieve an outstanding performance result in Top500 and Green500. 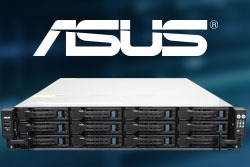 RS520-E8-RS12-E V2 is equipped with 12 SAS/SATA 3.5-inch disk drive bays. 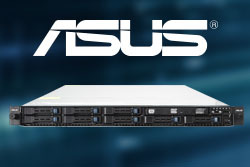 The hot-swappable design provides non-stop high availability, making short work of maintenance. RS520-E8-RS12-E V2 also offers great freedom when it comes to the choice of operating system drive type and placement, with M.2 slot available, and two hot-swappable 2.5-inch SSD bays. 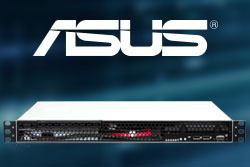 RS700-E8-RS4 V2’s internal layout is optimized for rack-mounted configurations, with both the CPU and memory placed in a parallel arrangement directly behind the fan inlet to promote maximum cooling for increased efficiency— and that makes it perfect for datacenters. 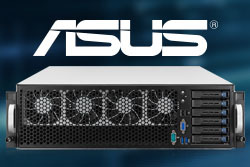 RS700-E8-RS8 V2’s internal layout is optimized for rack-mounted configurations, with both the CPU and memory placed in a parallel arrangement directly behind the fan inlet to promote maximum cooling for increased efficiency— and that makes it perfect for datacenters. 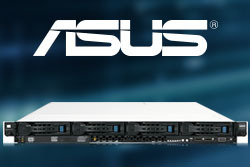 RS720-E8-RS24-E is a 2U rack server that’s perfectly built for high-capacity storage with extreme computing performance. 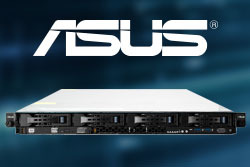 With two dedicated 2.5-inch drive bays and one M.2 (NGFF) slot for convenient operating system (OS) installation and engineered with premium components for premium efficiency, RS720-E8-RS24-E is ideal for datacenters and other enterprise applications.